Need a dryer technician in Newark, New Jersey? Say no more! When it comes to a top-notch laundry appliances service, our company is the best choice. In order to get your front or top load dryer fixed in a good and workmanlike manner, we partner with the most experienced specialists out there. Whether your unit is overheating, not heating at all, or making rattling sounds, you can have it back to working order by simply calling us. You will be surprised with how convenient and affordable dryer service can be! 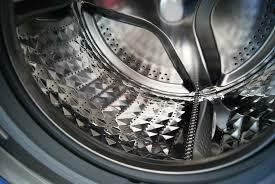 Since the moment of dryer installation, you definitely expect to get the most out of your appliance. If this is the case, you should make it a point to invite a Newark dryer tech for check-ups every once in a while. Once you drop us a ring, we’ll dispatch a dryer technician for a thorough inspection to detect and replace any component that’s about to fail. Not only will this service improve the overall performance of your unit but also prevent major failures from occurring. Isn’t it a smart investment? All in all, our company is your go-to partner for a vast array of services. From gas and electric dryer setup to basic repair and upkeep, we can provide you with a Newark dryer technician at a moment’s notice. So, do yourself a favor and contact us to get started right away!